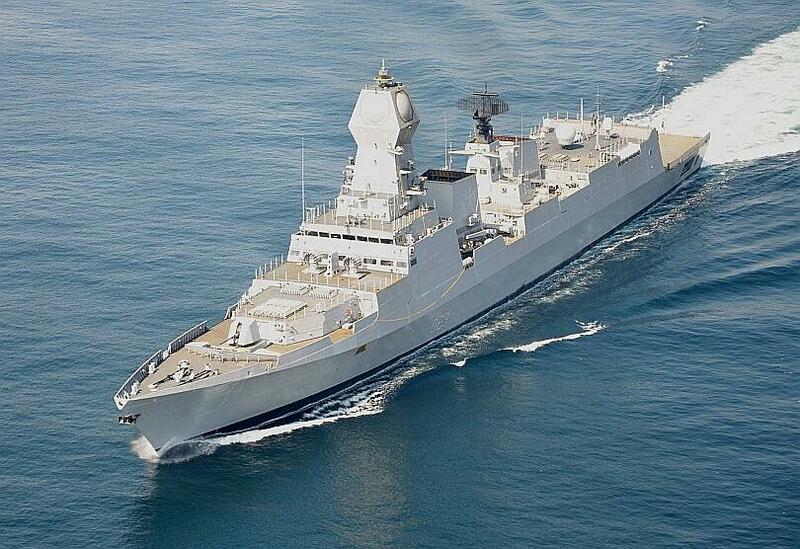 INS Kolkata D63 during commissioning trials. The Indian Navy has sent out a RFI for an Anti Missile Decoy system that would give warships 360-deg in azimuth protection against anti-shipping missiles. (c) Inflatable Floating (waterborne) Decoy with corner reflectors. (a) Confusion Mode – Deployment of the decoy prior launch of the missile by hostile force. (b) Distraction Mode – Deployment of the decoy prior commencement of transmission by the inbound missile radar seeker. Besides other details, vendors have been asked to specify the 'Bloom Time' of the system and the probability of success. Bloom Time or activation time is the time between launch of the decoy from operating platform and activation of decoy at the designated position post launch. (a) Accepting requisite input data both manually (fed by operator) and automatically (based on data being provided from ship sensors in a standard format). (b) Computing mission parameters for accurate deployment of decoy(s). DRDO developed Kavach is a ship based decoy system deployed on several Navy ships to counter radar guided antii-shipping missiles by dispensing chaff using rockets, but compared to the system being sought the protection provided by Kavach is very limited in scope. The 'Kavach' system releases chaff made of silver coated glass fiber. Suspended in the air. The radar reflecting chaff presents an incoming guided threat an alternative target with stronger radar signature than the ship, confusing the missile and causing it veer off the target towards the chaff. The chaff dispensing rockets used by the Kavach system are made at Ammunition Factory Khadki (AFK). AFK has developed three versions of Kavach chaff dispensing decoy rockets with ranges of 12 km (long range); 5 km (medium range) and 1 km (short range) chaff rockets.